Over the last few years, Karnataka and Maharashtra have been riven by the same kind of issues. Both States, or more accurately the capitals of both States, have seen outrageous assaults on “outsiders” from revanchist linguistic forces. Both periodically burst go into paroxysms of parochialism over territories each claims belongs to it. Both regularly mourn the disappearance of local art, culture, food, etc. It takes a horizontally challenged Heavenly One to remind the peoples of ee kade and ikkade of how much the two States actually have in common if only they would try to discover. The adman and photographer M.S. 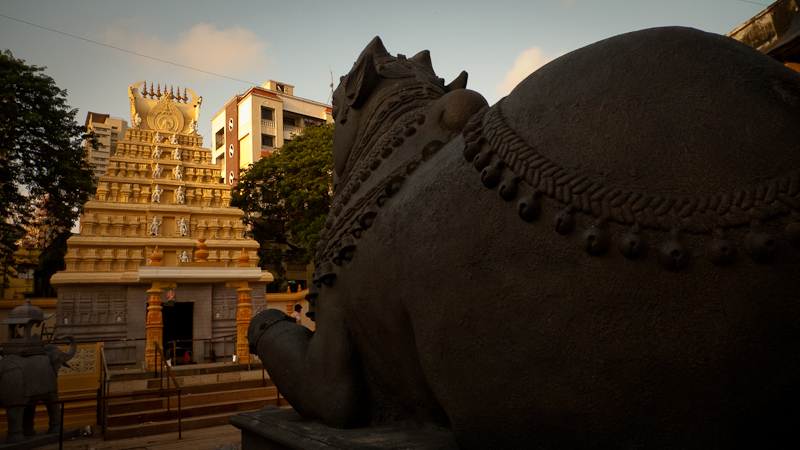 Gopal reports that the Chamundeshwari temple atop the Chamundi hills in Mysore is the theme of this year’s fete at Bombay’s most famous Ganesh pandal, Lalbaugcha Raja (the emperor of Lalbaug) in the heart of Parel. Devotees thronging Ganesh galli in what was once the ground zero of textile mills, are welcomed with replicas of Mahishasura, the Chamundi temple facade, even the Nandi bull. “Why am I excited? Because it’s from my home State and Mysore is my favourite city, even though I have never lived there. 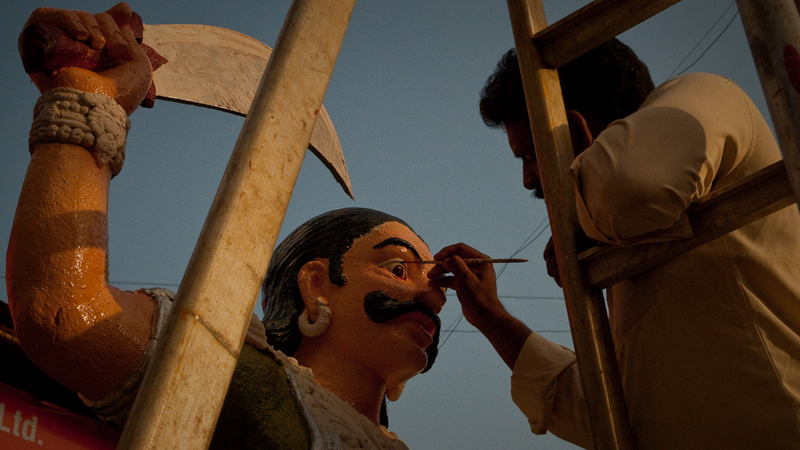 And yes, Ganesh Chaturthi is as big a festival in Karnataka as it is in Maharashtra and shares the same history. This entry was posted in Kannada & Karnataka, Life Etcetera, Mysore-Bangalore and tagged Churumuri, Ganesh Chathurthi, Ganesha Habba, Girgaum, Lalbag, Mahishasura, Marathi, Sans Serif, Shravanabelagola. Bookmark the permalink. What an uplifting writeup! Ganesh Chaturthi is the festival when I most miss living in Mumbai, the other being Navaratri. Methinks Ganesh Galli has a Ganesh which is different from the more celebrated Lalbaug cha raja. 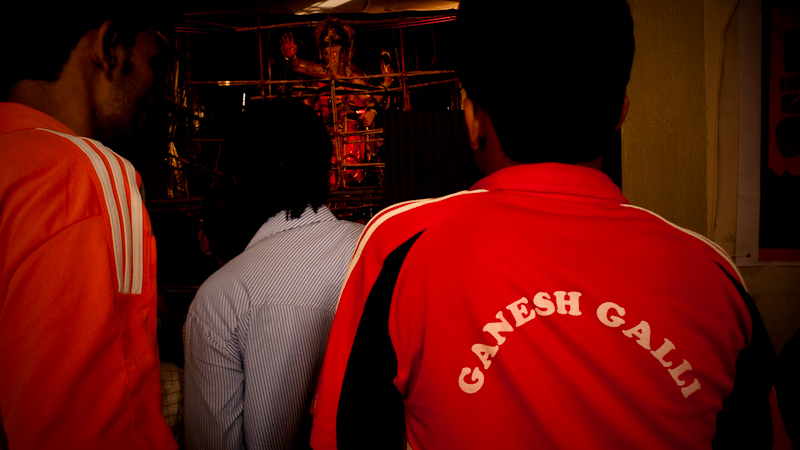 Unless,, of course, the two guys in the red tees with Ganesh galli inscribed on it, are visiting the other. Vijapurkar is right. And I stand corrected. 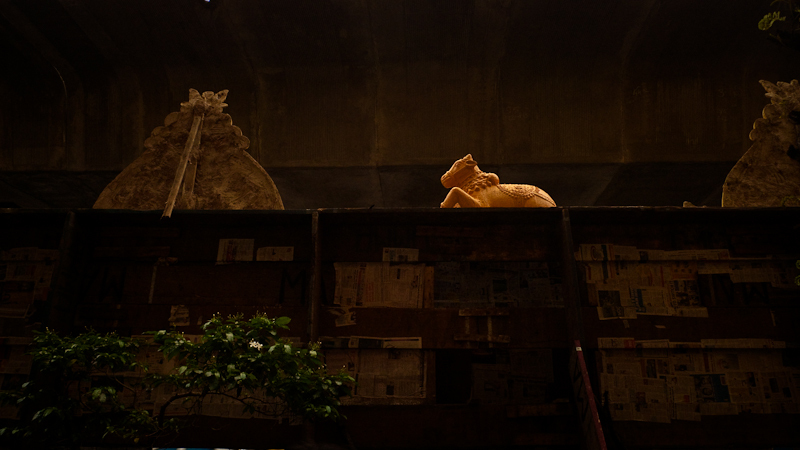 The Ganesh Galli Ganpati is not the Lalbag cha raja. The Ganesg Galli mandal is called Lalbag one. Lalbagcha raja is a different one. `Karnataka gata vaibhava’ of Alur Venkata Rao starts with words of the great Bal Gangadhar Tilak. “kaanaDi maraaThi dono ekach aahe” (as I remember).